The new terminology extraction in Transit NXT's latest Service Pack is a quantum leap to what had been there before. We will therefore dedicate two subsequent tooltips to this new feature and will explain the most important additions and advantages of the new term extraction function and how to use it. Why extract terminology, and when? There are different circumstances where it is necessary or recommendable to extract the terminology from a given text corpus. 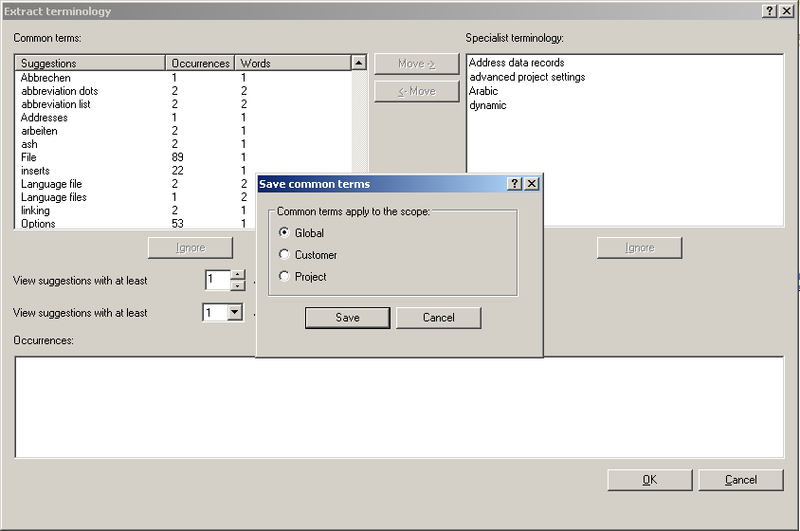 The automated terminology extraction is one means to start to create a terminological dictionary in TermStar NXT. Imagine you start to translate for a new client. To prepare for your translation work, you might want to create a monolingual terminological dictionary based on the texts he sent you or from publicly available legacy material that you might have compiled on your own. Another case: Before you start a project, you need to get acquainted with the conceptual skeleton of the texts that you have to translate. Once you understand the key concepts and know their denominations in the source language, you have actually done the brunt of your technical translation work. Some clients specificially ask for the creation and subsequent translation of such a glossary before you actually start the translation of their texts. When you have to extract the terminology from a short text, the extraction can be done alongside the translation or you can do it manually before you start to translate. But when you have to translate a big project with multiple files, a terminology extraction tool that automates some of the extraction work comes in handy. Once you have imported a given set of files into Transit, the terminology extraction function allows you to automatically extract the technical terms from the files. Go to Project -> Open Language Pair and open all files in Global View. Not select - Words that you simply choose not to select will be imported into a Common terms list. This greatly speeds up subsequent term extractions because the terms in this list will not be presented as suggestions any more. Once you have finished selecting all the terms that you want to extract from the files, click on OK. The dialogue Save common terms appears. Here you can choose the scope for the Common terms list: Global, Customer or Project. For now, click on Cancel because this is a feature we will explain in our next tooltip. The TermStar destination dictionary dialogue appears. 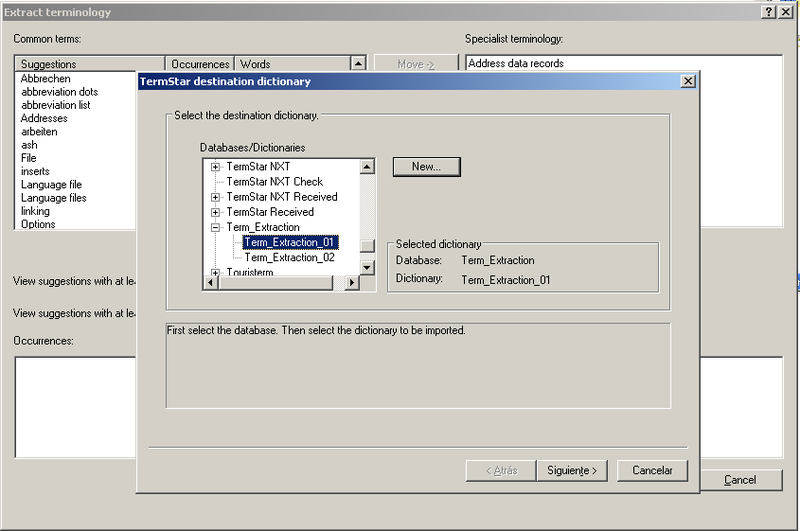 Select the dictionary where to import the list of terms that you extracted. 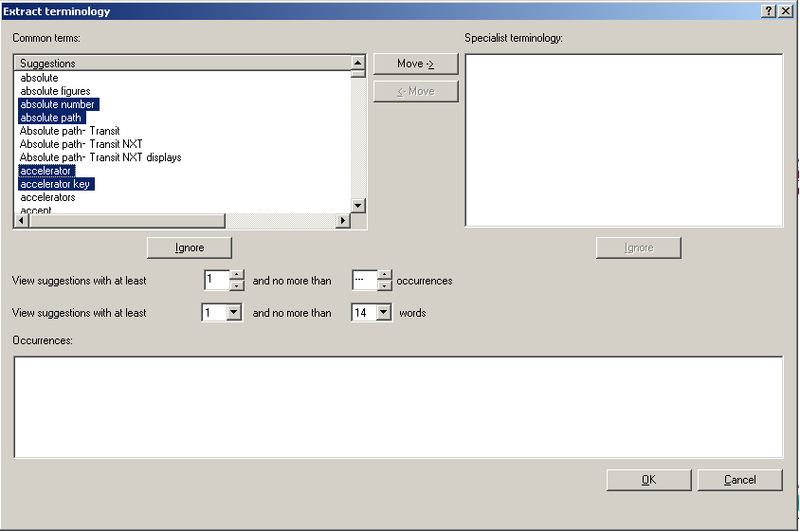 You can either select an existing dictionary or create one from scratch from within this dialogue. After that, you are done. The terms you have extracted will be imported into a TermStar dictionary. You can now enrich the extracted terminology, translate it and use it in your translation projects. Let's leave it here for now, but make sure you stay tuned and visit us again, because in our next post we will continue with the terminology extraction feature. You will learn about the different options in the Extract terminology dialogue and how to edit terms before extracting them. We will also comment on the concept of compounds extraction. Please leave your comments and feel free to make any suggestion about this topic or any other topic you would like to see in the Transit NXT Tooltips blog.